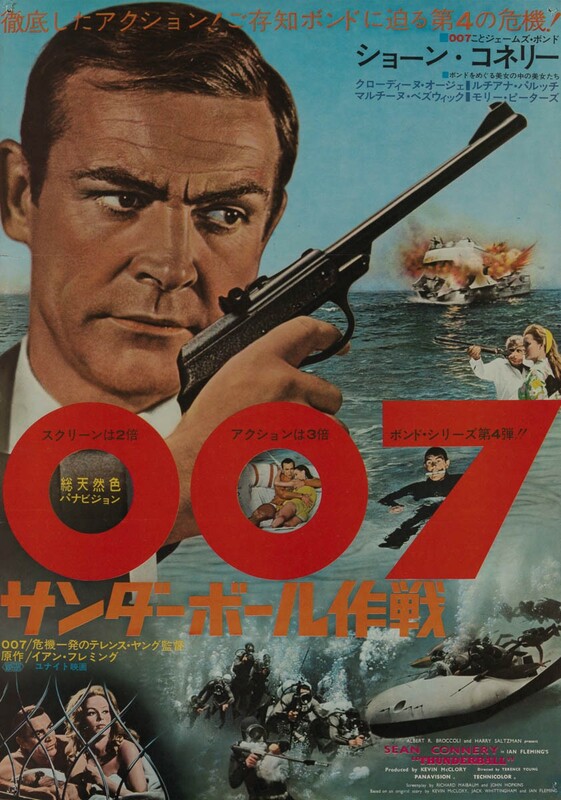 Film Plot: James Bond heads to The Bahamas to recover two nuclear warheads stolen by SPECTRE agent Emilio Largo in an international extortion scheme. Grade: C7-C8	Fine to Very Fine. Rolled, single-sided. Very minimal handling/edge wear, great colors. Some loose trifold wear and a single rough pin hole in each corner are the only things keeping this poster from being graded higher. 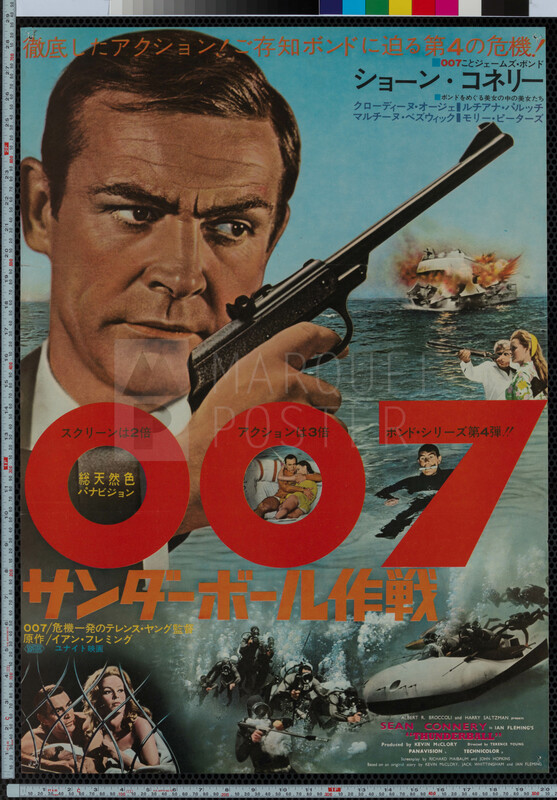 From the very beginning Bond has been a huge hit with Japanese audiences — so much so that EON quite deliberately chose You Only Live Twice as one of their earliest film adaptations to capitalize on the interest overseas. 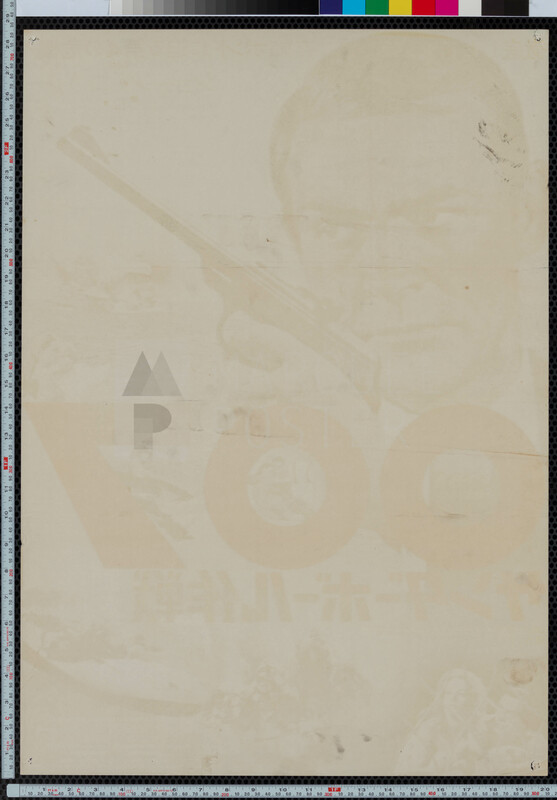 Japanese posters for James Bond films have always been highly sought after by collectors as they printed a wonderful assortment of styles and sizes. This ‘style B’ poster for Thunderball is one of those particuarly rare styles that seems to have been printed in much lower numbers than the regular style. It may be a while before another copy surfaces… don’t miss this one!